So much analysis we see and hear lately is concerned with whether the stock market is in a bubble or not. [The truth of the matter, however, is that] bear markets do not begin due to bubble-level valuations being reached and then bursting, but in anticipation of [half a dozen mitigating factors as outlined in this article]. The above introductory comments are edited excerpts from an article* by Sy Harding (streetsmartreport.com) as originally posted on SeekingAlpha.com under the title Enough With The Bubble Talk Already. Beginnings of Massive Stock Market Correction Developing: Don’t Delay, Prepare Today! a serious bear market on average of every 4.5 years. there have been 25 bear markets over the last 113 years, or one on average of every 4.5 years. The average decline was 36.5%. The ten worst averaged a decline of 49.9%. there have been only 2 serious bear markets – 1929 and in 2000 – as the result of the market being in a valuation bubble that burst. You might be able to stretch the requirements enough to call the 1973 top prior to the 1973-74 bear market a bubble, but it would be a stretch. or just because the bull runs out of energy. At those times, stocks are usually overvalued, but not to anywhere near bubble proportions. Therefore, let’s cool down the bubble talk. 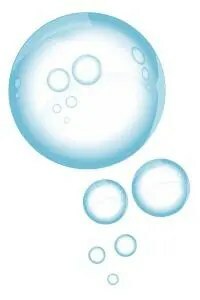 Bubbles are probably still once in a lifetime events but, either way, whether we are in one or not has almost nothing to do with market risk of serious corrections or bear markets. 1. How Much Time Before “The 7 Bubbles of America” Start to Burst? 2. What Could – What Will – Pop This “Money Bubble”? Previous What Are the 2 Catalysts That Cause Major Market Corrections Telling Us Today?